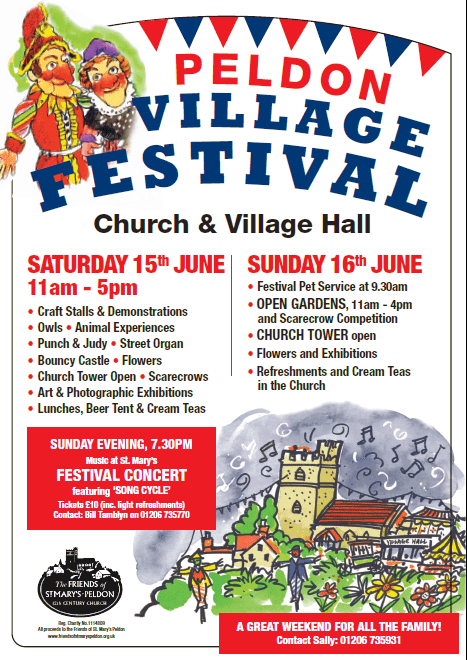 The annual Peldon Village Festival will be held on Saturday 15th and Sunday 16th June, promising a great weekend for all the family. The Festival fun kicks off on Saturday 15th June at 11am with our traditional fair and family fun day in the village hall and its grounds, including a wonderful array of craft stalls, plant and homemade cake stalls, the ever-popular Professor Poulson’s Punch and Judy show, the Owl Man, with his amazing collection of owls, and Animal Experiences, enabling you to get close to many other fascinating creatures. In addition, there will be a bouncy castle and Kidzone to keep the children entertained, and for the adults a tombola, a beer and Pimm’s tent and our fabulous Grand Draw (First prize £100). Refreshments will be available throughout the day: Ploughman’s lunches or burgers and hotdogs served between 12 – 2pm, and delicious cream teas between 2.30 – 4pm. 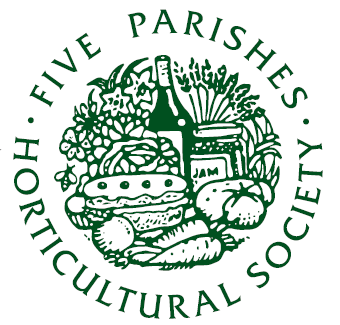 As usual over the Festival weekend, St Mary’s Church will be open between 11am – 4pm on both Saturday and Sunday for viewing Festival flowers, our Art and Photographic Exhibitions and the Friends’ pictorial display of events and improvement projects. The Church Tower will also be open for spectacular views over to Mersea, Langenhoe and way beyond. It also affords views over the changing landscape created by the very nearly completed Abberton Reservoir development. Oh, and be sure to look out for the scarecrows – this year on parade in the churchyard. We are hoping to make this the biggest and best Scarecrow Competition of our Festival history. There is no particular theme; just come and stage your scarecrow on Saturday morning: the more the merrier! On Sunday 16th June, there will be a special Festival Pet Service at 9.30am in the church. So why not bring along your pets? Old or young, large or small, God will welcome them all! 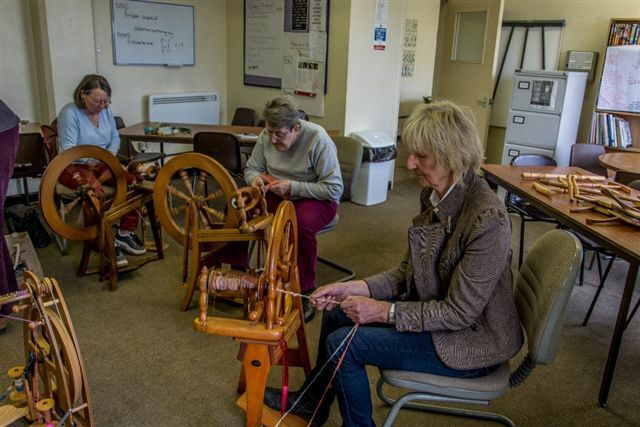 Following this service, light refreshments will be served in the church café throughout the day, the tower will be open, exhibitions can be admired and scarecrows viewed and judged. Also on the Sunday between 11am – 4pm, Peldon once again hosts its Open Gardens event with nine gardens in the village open. Programmes (£3) will be available from the church from 10.30am. Then, for the finale of our Festival weekend: our Festival Concert at 7.30pm in the church, featuring Song Cycle, the all singing, all cycling male voice quartet. Their style is a la King’s Singers and the concert promises a wonderfully varied programme of traditional, sacred and modern pieces – ‘from Bach to The Beatles’. Not to be missed! Tickets £10, including light refreshments, from the Festival desk or Bill 01206 735770.